H.E, President Uhuru Kenyatta toured the LAPSSET, Lamu Port Project area on 8th of January, 2016 during his visit to the Coast region. 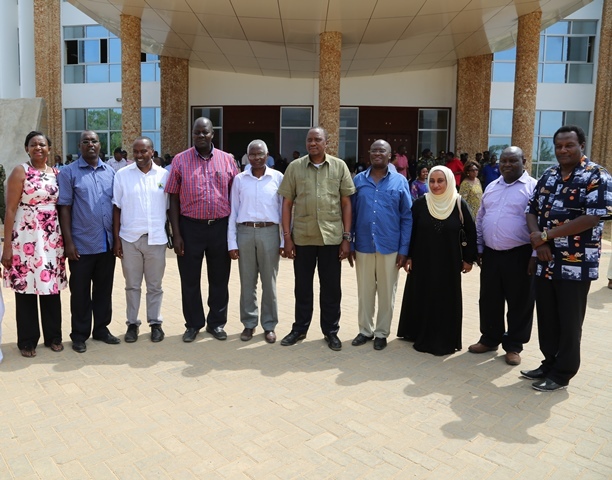 The President accompanied by Cabinet Secretaries, Principal Secretaries, Lamu County Governor, Senators among other leaders, was welcomed by the Chairman, the Board and the Director General of LAPSSET Corridor Development Authority (LCDA). On his tour, President Uhuru Kenyatta inspected the Lamu Port Support infrastructure such as the Lamu Port Complex, the Ultramodern Lamu Port Police Station and the Lamu Port Housing Project. H.E the President also viewed the area where the Deep Sea Port of Lamu will soon be constructed. 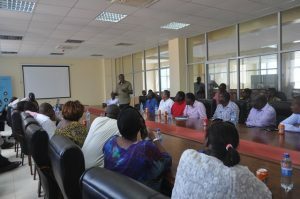 Speaking during a brief meeting attended by top ranking government officials at the newly completed Lamu Port Headquarters, the President expressed his excitement on the progress made and also on the reality of the impact the LAPSSET Lamu Port Project will bring to the Country and the East African Region. H.E further stated that he will take a personal initiative, Chairing the LAPSSET Steering Cabinet committee to ensure faster delivery of its projects.